Outclass, outshine, outdo!! 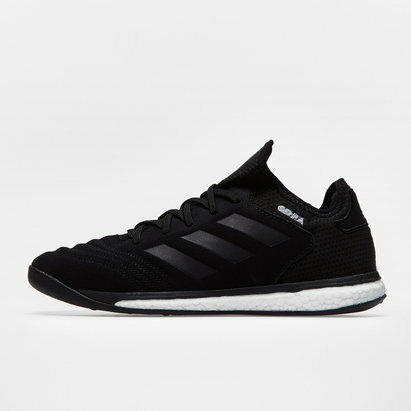 Surpass all opposition in any scenario with a boot designed with touches of class with modern style and up to date technology, become a champion when you slide on a pair of adidas Copa 19.1 Turf Football Trainers which come in Core Black, Core Black and Solar Yellow. 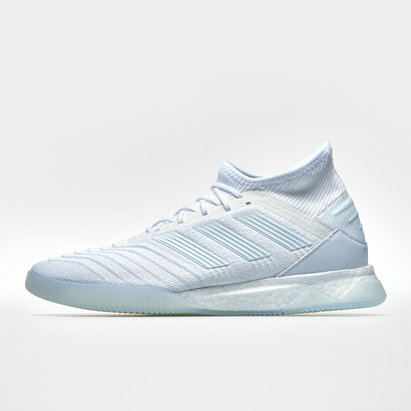 These football trainers come as part of the latest adidas collection and has been engineered to provide touches of class into your game which will lead you and the rest of the team to victory, provide guts and enjoy glory when lacing up in these Copa 19s. 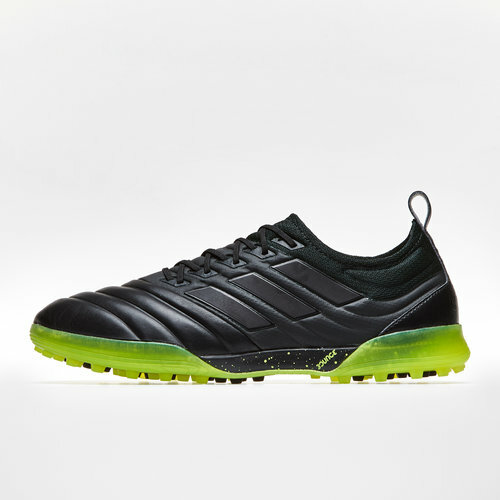 This adidas Copa is part of the Exhibit pack where no fakers are allowed but creators only. 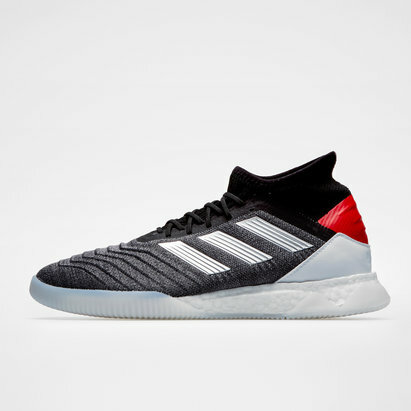 The adidas Exhibit pack introduces vibrant new colourways for the Copa, Predator, X and Nemeziz representing different types of creativity. 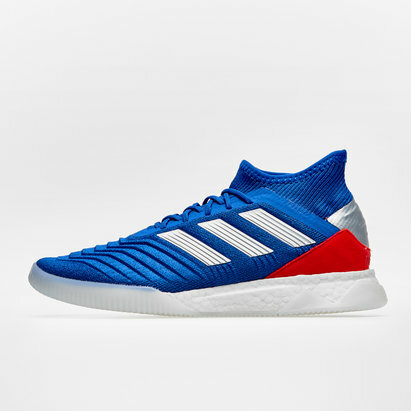 This time around, no Nemeziz Messi is part of the pack. 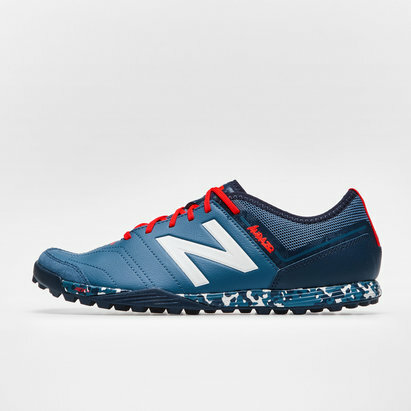 These boots/trainers are set to make creators out of anyone with the skills to back up the flamboyant look. With these boots it’s time for you to become the main attraction, it’s your show, it’s your time to dominate the pitch with your skills and results. You’re the Exhibit, so there’s no time to be anonymous and hide in the crowd of players, take centre stage. 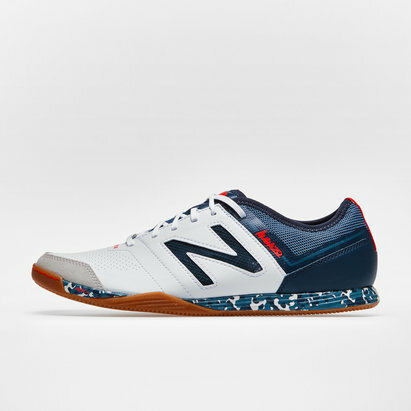 These come crafted from Cow leather which is designed to add constant softness into your game whilst the foam heel counter keeps you protected as you fly around the pitch. The ExoFrame high-performance polyamide injected layers stabilize movement and enhance traction whilst the circular knit collar provides ultimate comfort. 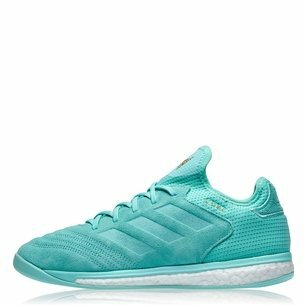 The 2 footshapes inlays, injected with softer density TPU allow optimal cushioning to help you last not just over 90 but 120 minutes too.